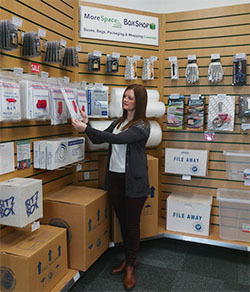 The Box Shop at Morespace offers a whole range of packing and wrapping supplies to the people of Cambridgeshire. Located in easy reach of Huntingdon, St Neots, St Ives & Cambourne. If you need one storage removal box or 20 archive boxes, bubble wrap, storage blankets, wrapping or parcel tape, we can supply packaging to keep your items safe during your move or in storage. Bubble Wrap – for wrapping not popping! For prices or to find out more about our range of boxes and packing materials available please contact us.